Summer is in full swing on prince edward island! Can you believe it's August? The weather has been unbelievable on Prince Edward Island so far this summer. With endless sunny beach days, it's definitely the place to be right now! Village Pottery is open everyday and there's new pottery arriving daily from 15 different artists. It's the perfect place to find your own unique PEI souvenir or add to your pottery collection. Don't forget to visit the art gallery on the 2nd floor where you'll find unique fabric art by Margaret England, mixed media by Ashley Anne Clark, original paintings by Katharine Dagg, photography by Mike England and pebble art by Island Pebble & Sea glass Art. Suzanne and Olivia have been busy throwing pots on the wheel, which is located to the back of the shop on the main floor. You might just get to watch them in action when you come! 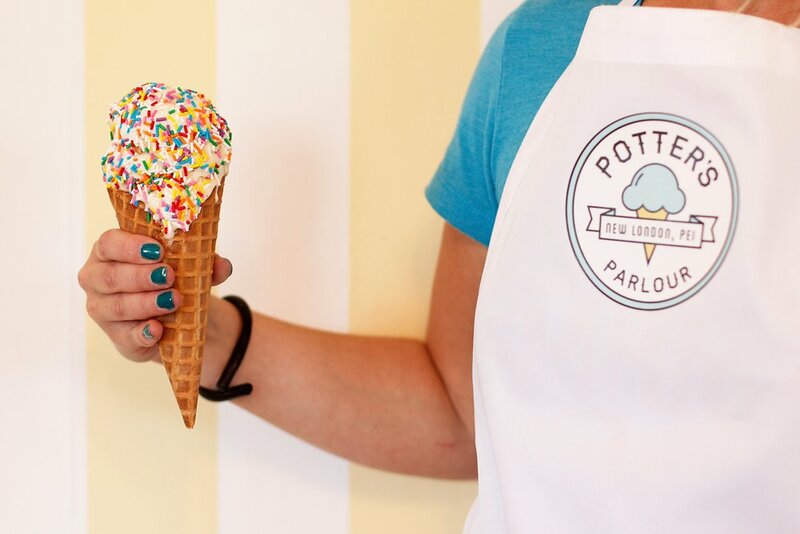 Next door in the yellow house, Potter's Parlour is serving up 7 different flavours of ADL ice cream, Samuel's fresh ground coffee, espresso drinks, baked goods, sandwiches and they have lawn games like giant jenga, connect 4 and washer toss. It's the perfect spot for the whole family to hang out! Shop opens for our 45th Season on May 12th! You can also find us at the 4th annual Etsy Spring Market at the Delta Convention Centre this weekend, April 28th 10am-5pm and April 29th 12-5pm. There are 90 local Etsy sellers along with live music, daily door prizes and more. Admission is $5 in support of KidSport. Hope to see you in New London soon!